If you or your significant other have Obstructive Sleep Apnea (OSA) you know how expensive a CPAP machine can be. By doing a quick Google Search you will find that a CPAP machine can be anywhere form $350 to $1500; just as much as a laptop! Over the years, our clients have asked us if instead of if they could get theirs fixed instead of buying a brand new CPAP machine when it will not turn on. Just like a laptop, computer or smartphone, a CPAP machine is an electronic device that will eventually break. Many times, the ResMed Philips, Respironics and Dreamstation CPAP machines are something we would be able to repair except for the fact parts are scarce and unavailable. Due to that, we can NOT repair most CPAP machines. But you can still save money! 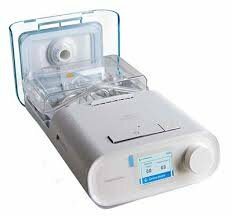 Save money replacing your CPAP machine! It may be the case that your dentist or health professional suggests a specific brand or company. Since parts are not available and we will not be able to repair your CPAP machine, we have put together a list of the highest rated and rapidly available CPAP units which are sold by a trusted source, Amazon. Yes, this is the same machine local Raleigh respirologist and pulmonologists sell for $1,000 – $2,000. It has a one year manufacturer’s warranty and is McKesson Part Number DSX500T11. It’s only $380 on Amazon. This is easily the most advanced auto machine on the market. It comes with a handy carrying case. Click Here to Buy the DreamStation on Amazon Now. Included in the package is the Dreamstation CPAP Unit, Heated Tubing, Humidifer, Water Chamber, SD Card, Power Cords, Travel Case, Manuals, Disposable Filter and Non-Disposable Filter. Why are dentists recommending CPAP machines? Over the last decade more dentist’s offices are jumping into the “Sleep Aprea” therapy industry. What was once considered snoring is now considered a life threatening condition. Local Raleigh Dental offices such as Wainright & Wassel have a specialist that has been through years of education to better understand and diagnose OSA. Before self diagnosing it might be best to go to a professional that has treated hundreds of cases. If you have bought a $500 CPAP machine for your husband because he snores loudly it does not mean he has Obstructive Sleep Apnea (OSA). Note that not every dentist’s office has a sleep apnea expert. You will find that more and more are hiring them but a number of experts still work at local hospitals such as WakeMed, Duke or UNC. No matter wha you decide when it comes to a professional, we have a team of experienced technicians that can assist you when it comes to getting your CPAP machine repaired for much less than it would cost to buy a new one. Just like with a laptop or desktop computer, there is no reason to spend a ton of money on a new one when the old one can be fixed at a fraction of the cost. I have a resmed aircurve 10 bipap machine that stopped working. Possibly due to water going from the water chamber into the machine.